As a Senior Associate in our Operations group, Amor manages performance reporting and analysis for Sentinel Trust’s investment portfolios, as well as for client-directed assets where Sentinel Trust has been tasked with performance management. She joined Sentinel Trust in 2013 as member of our Client Service group, where she assisted with the delivery of family office and investment advisory services. 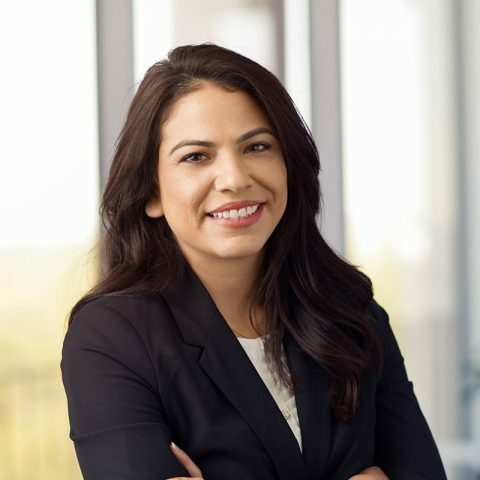 In her current role, she supports our Investment and Investment Advisory teams by ensuring that they receive timely and accurate reporting on investment portfolios. Amor is active with her college alumni networks locally. Senior Client Service Associate, Sentinel Trust Company, LBA, Houston, TX (2013–2017) – Responsibilities included assisting with the delivery of investment, planning, fiduciary, administrative, and family office services to a select group of Sentinel Trust clients. Personal Banker, F&M Bank, Wayne, NE (2011–2013) – Responsibilities included accurately managing a large volume of financial transactions, overseeing the opening and closing of accounts, and verifying and processing deposits, withdrawals, transfers, check cashing, and loan payments.